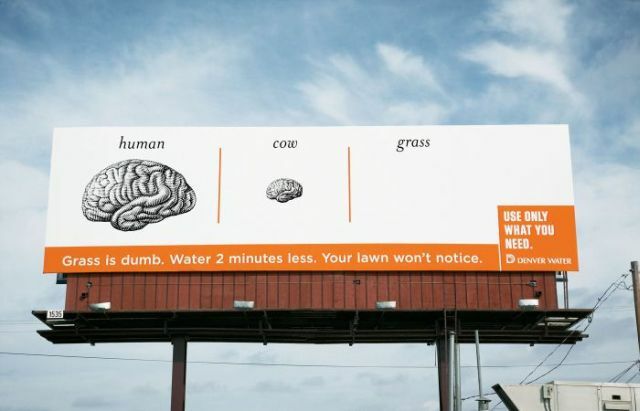 This is a funny series of ads made by Denver Water. 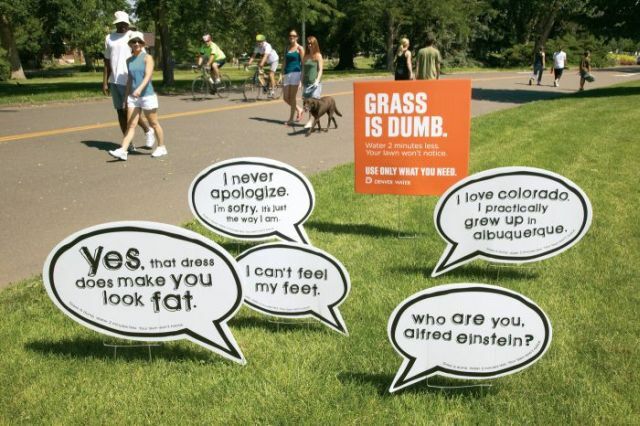 The message is for us to use less water by making fun of the grass and with always the same slogan: “Grass is dumb. 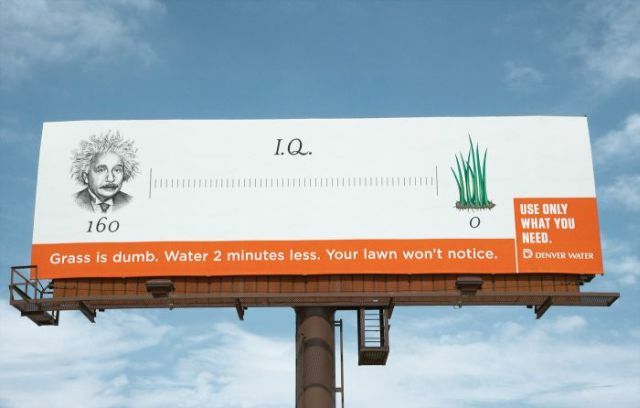 Water 2 minutes less. 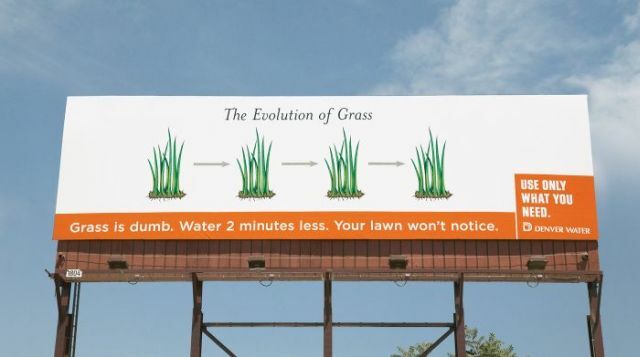 Your lawn won’t notice – Use only what you need (Denver Water).” Quite unusual but funny. Few more pics after the jump.